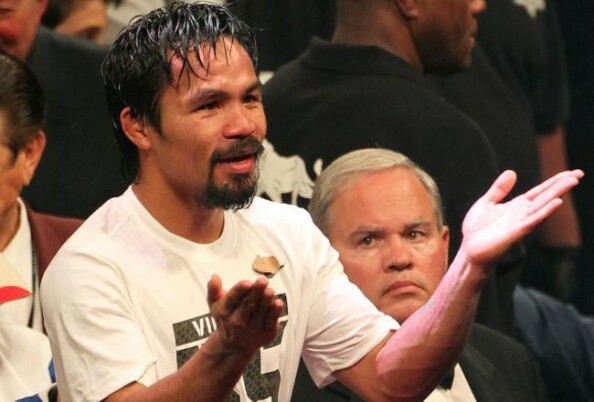 Manny Pacquiao vs Timothy Bradley – All Clean, Nothing Illegal? If anyone believed that something new regarding Manny Pacquiao getting robbed by the Nevada judges in his fight against Timothy Bradley, than I guess you don’t know boxing. The Nevada state attorney general found nothing illegal about their decision making, which makes it even more weird and questionable. If the three distinguished gentlemen – Jerry Roth, C. J. Ross and Duane Ford, weren’t bribed or somewhat swayed in a manner that doesn’t become their position and responsibility, than how is it possible that they saw things so differently from 1 million viewers and who knows how many later on? So differently from pretty much every announcer, expert and journalist seeing and unofficially scoring the fight. Well, Jerry Roth did OK. He gave the fight to Pacquiao, although even the 115-113 result was highly criticized. It was like they decided earlier on that if Pacquiao doesn’t get the knockout, he’ll lose the fight. But there’s no proof of wrong doing. The five WBO judges who later reviewed the fight all scored in favor of Pacquiao, ranging from 118-110 to 115-113. There shouldn’t have been a shadow of a doubt about who was the winner, and still the champion. But the WBO can’t overturn the decision, just force a rematch on Bradley, who’s going for it anyway. Bob Arum and Pacquiao aren’t so keen on fighting Bradley again, who’s also a Top Rank fighter. There’s more money to be made elsewhere, against other fighters. Catherine Cortez Masto, Nevada State Attorney General – Displeasure with the subjective decisions of sporting officials is not a sufficient basis for this office to initiate a criminal investigation. There do not appear to be any facts or evidence to indicate that a criminal violation occurred. That may be the worst thing about the whole farce of a decision. There’s no real reason behind the huge injustice, which was just too clear and out there to be called a simple difference of subjective views. Bradley walked away with money, a belt, a chance for a lucrative rematch. We don’t really know how much Pacquiao and Arum care. The only ones who really feel the loss are the fans, who watched another huge chunk of boxing integrity slip away and fade into the darkness.